Her present life appeared like the dream of a distempered imagination, or like one of those frightful fictions, in which the wild genius of the poets sometimes delighted. Rreflections brought only regret, and anticipation terror.' Such is the state of mind in which Emily St. Aubuert - the orphaned heroine of Ann Radcliffe's 1794 gothic Classic, The Mysteries of Udolpho - finds herself after Count Montoni, her evil guardian, imprisions her in his gloomy medieval fortress in the Appenines. Terror is the order of the day inside the walls of Udolpho, as Emily struggles against Montoni's rapacious schemes and the threat of her own psychological disintegration. 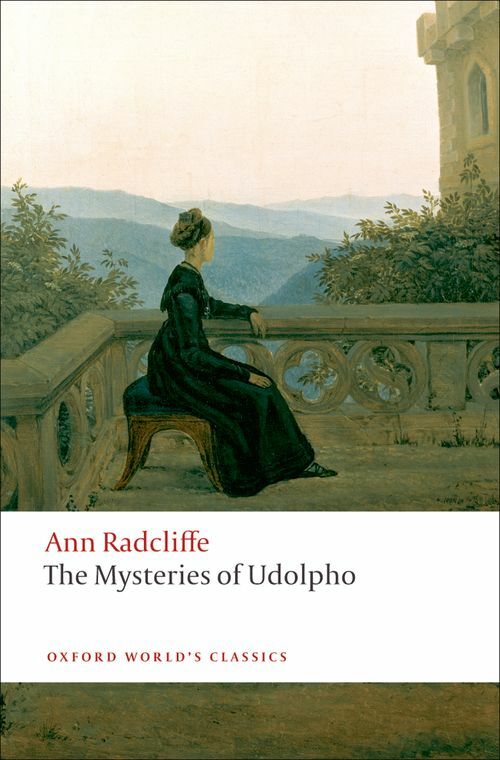 A best-seller in its day and a potent influence on Walpole, Poe, and other writers of eighteenth and nineteenth-century Gothic horror, The Mysteries of Udolpho remains one of the most important works in the history of European fiction. As the same time, with its dream-like plot and hallucinatory rendering of its characters' psychological states, it often seems strangely modern: 'permanently avant-garde' in Terry Castle's words, and a profound and fascinating challenge to contemporary readers. *ABOUT THE SERIES: For over 100 years Oxford World's Classics has made available the widest range of literature from around the globe. Each affordable volume reflects Oxford's commitment to scholarship, providing the most accurate text plus a wealth of other valuable features, including expert introductions by leading authorities, helpful notes to clarify the text, up-to-date bibliographies for further study, and much more. Terry Castle is Professor of English at Stanford University.